The New York Times (12/11/17) did not disclose the authors’ financial interest in attacking Argentina. Mark Dubowitz and Toby Dershowitz, two executives at the hawkish Foundation for Defense of Democracies (FDD), took to the op-ed pages of the New York Times (12/11/17) to celebrate last week’s announcement that Argentina’s former president, Cristina Fernández de Kirchner, would face treason charges for her alleged role in covering up Iran’s alleged involvement in the 1994 bombing of a Jewish community center in Buenos Aries that killed 85 people. 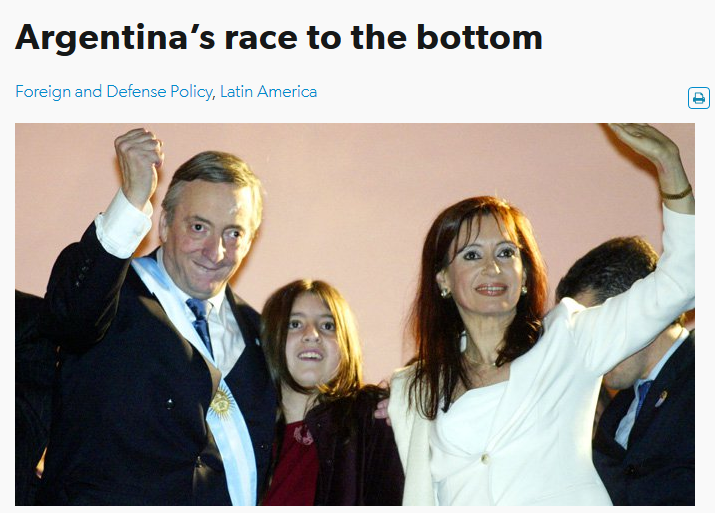 But their op-ed fails to disclose a serious financial conflict of interest underpinning their attacks on Kirchner: One of FDD’s biggest donors financed a multi-year public diplomacy campaign against Kirchner, all while attempting to collect $2 billion in debt from Argentina. 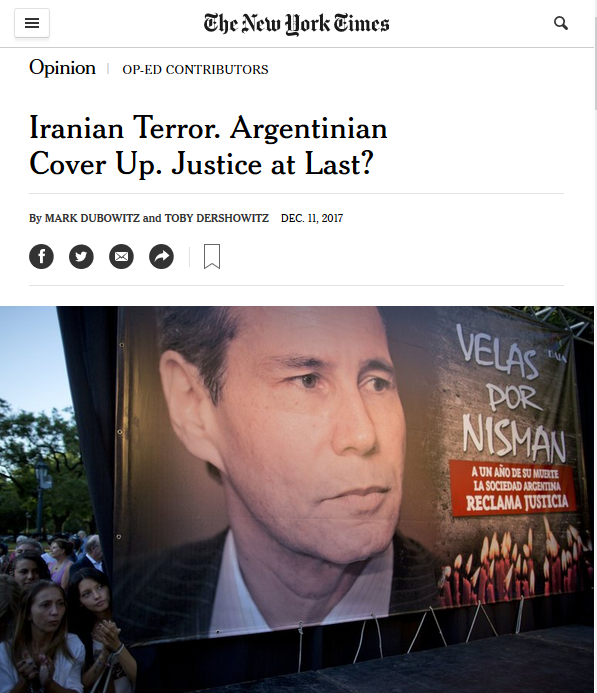 Indeed, legitimate questions exist about the bombing and suspicious 2015 death of Argentine special investigator Alberto Nisman, who claimed in 2006 that Iran ordered the bombing. But Kirchner’s supporters fear that Argentina’s President Mauricio Macri is using judicial reforms and charges against Kirchner to remove his political opposition. FDD has been eager to promote Nisman’s work. The group also runs AlbertoNisman.org “to honor the legacy of late Argentine prosecutor Natalio Alberto Nisman and his tireless pursuit of justice.” FDD continues this work despite serious questions about large unexplained deposits to Nisman’s bank account. Moreover, their rush to denigrate Kirchner omits a major conflict of interest in Dubowitz and Dershowitz’s funding. 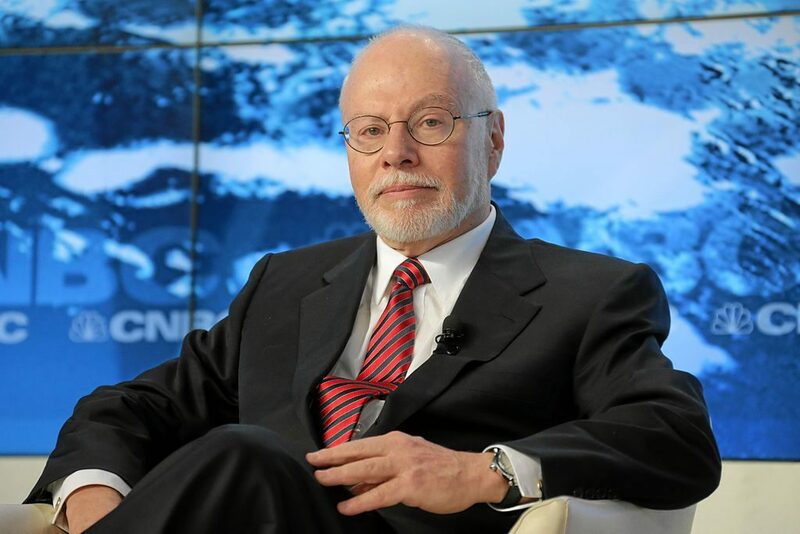 Between 2007 and 2011, hedge-fund billionaire Paul Singer contributed $3.6 million to FDD. That coincided with his battle to force Argentina to repay the full amount of the sovereign debt held by Singer’s firm, Elliott Management, a payout that Kirchner rejected. Ninety-three percent of Argentina’s creditors accepted losses, but Singer was one of the few holdouts. Having bought up Argentina’s defaulted bonds at pennies on the dollar, he had then sued the country for payment in full. Singer embarked on a 15-year legal battle to collect on Argentina’s debt payments by attempting to seize Argentine government assets around the world, including a 100-meter three-masted tall ship when it docked in Ghana. After financing public diplomacy campaigns against Kirchner, Singer’s firm walked away with approximately 75 percent of what he was owed, $2.4 billion. The deal, finalized last year, was largely credited to Mauricio Macri, Kirchner’s successor. Groups receiving Singer’s donations kept up a steady drumbeat of attacks on Kirchner and sought to tie her to Iran and Nisman’s suspicious death. “We do whatever we can to get our government and media’s attention focused on what a bad actor Argentina is,” Robert Raben, executive director of the American Task Force Argentina (ATFA), explained to the Huffington Post (6/20/13). Advertisement by the American Task Force Argentina. ATFA, a group created by Singer and other hedge fund holdouts, spent at least $3.8 million dollars over five years in its efforts attacking Argentina. virtual road map for how Iran’s long arm of terrorism can reach unsuspecting communities and that the AMIA attack was merely the canary in the coal mine…. The no-holds-barred, courageous report is a “must read” for policy makers and law enforcement around the world, and Nisman himself should be tapped for his guidance and profound understanding of Iran’s terrorism strategy. An AEI report attacking the country its donor wanted money from. Singer’s largesse also extended to the American Enterprise Institute (AEI), where he contributed $1.1 million in 2009. 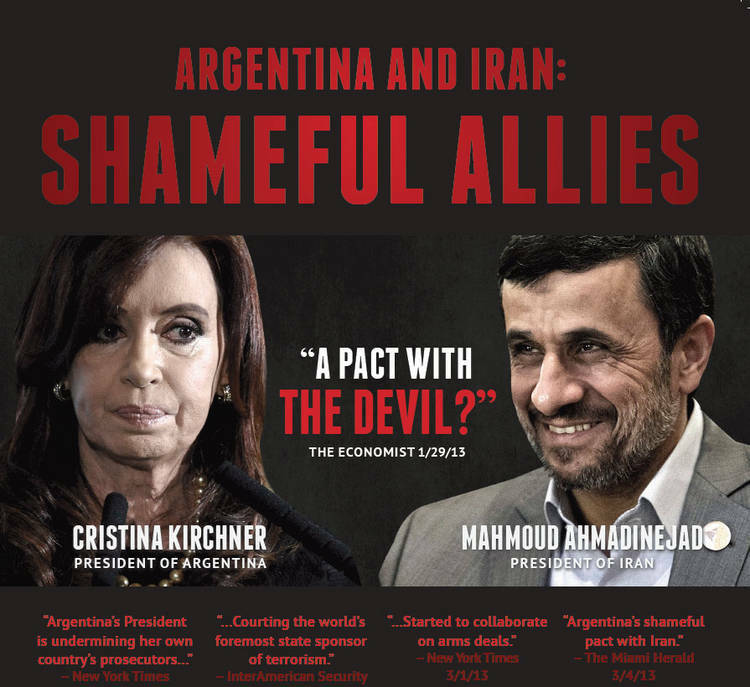 AEI fellow Roger Noriega, who received $60,000 directly from Elliott Management in 2007 to lobby on the issue of “Sovereign Debt Owed to a US Company,” published an article on the group’s website—“Argentina’s Secret Deal with Iran?”—citing secret documents about an alleged nuclear cooperation agreement between Tehran and Buenos Aires, “brokered and paid for” by then-Venezuelan President Hugo Chávez. Singer also gave $500,000 to The Israel Project (TIP) in 2007 and $1 million in 2012. By May 2015, the group’s magazine, The Tower, published no fewer than 48 articles that mentioned Argentina, and 40 that cited Nisman and the 1994 bombing. Neither AEI, TIP nor FDD has bothered to disclose its funding from Singer when publishing work that advanced his public pressure campaign against Kirchner. Indeed, there is no public record of why Singer chooses to fund these organizations. But his funding poses a conflict of interest, especially when the New York Times publishes Dershowitz and Dubowitz without any public acknowledgement that their criticism of Kirchner conveniently follows the narrative and financial interests of one of the duo’s biggest financial donors. ACTION: Ask the New York Times to append a disclosure to its December 11 op-ed that its authors were funded by someone with a major financial interest in attacking Cristina Kirchner. Please remember that respectful communication is the most effective. This alert orginally appeared as a blog post on LobeLog (12/13/17).